The Thomas Sattler Homes Experience Center is Now Open! On Thursday, September 18th, Thomas Sattler Homes unveiled its new Experience Center. 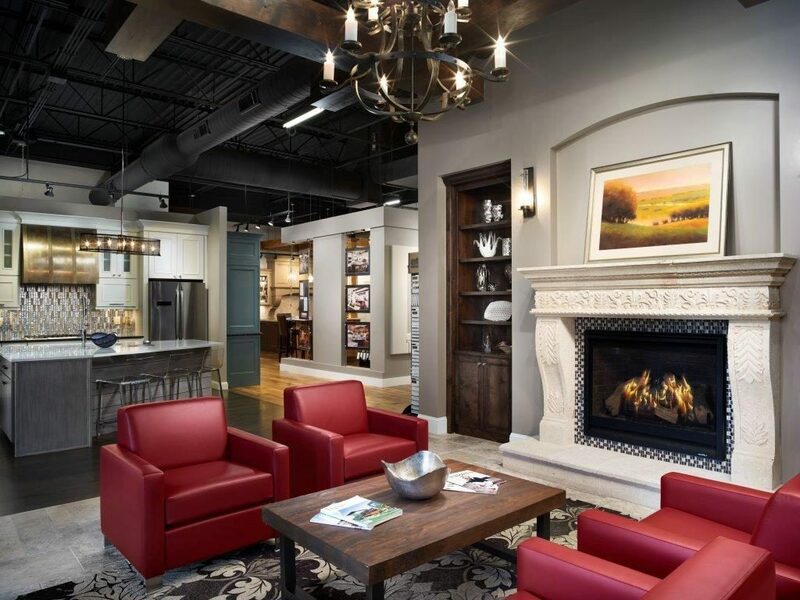 Located adjacent to the Thomas Sattler Homes offices at Riverpoint Sheridan, the Experience Center serves as a stunning showroom, selection center, and source of inspiration. From 4:00-8:00pm on the day of the event, over 300 people enjoyed appetizers, cocktails, and conversation while touring the newly-finished facility. 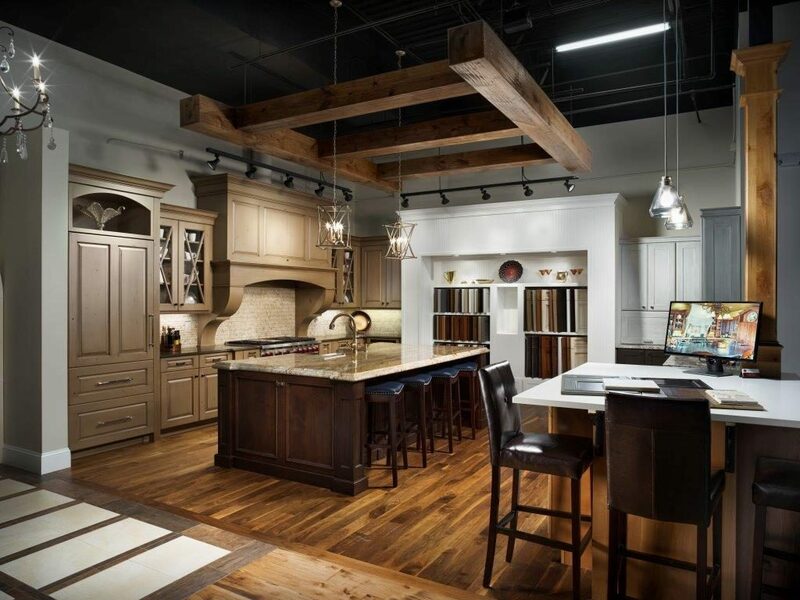 At just around 2,300 square feet, the Experience Center offers plenty of room to mingle and features multiple kitchen displays—including a live, fully functioning kitchen—an outdoor center, a flooring center, a sitting area with fireplace, and a Kohler plumbing center. The open loft structure brings together many design elements, from traditional to modern, and provides maximum exposure to various design styles. The fusion of styles was intentionally arranged to help spark ideas and inspiration for customers. At the Experience Center, customers also get to see firsthand what types of finishes are available and what they look like in context. Granite samples, doorknobs, light fixtures, and backsplash are just some of the materials on display. In addition to the wide variety of finishes, style books are also available for customers to peruse. Many more events are planned to be held at the Experience Center, which serves not only as a showroom but also a gathering place. The home-like atmosphere is ideal for getting people together and sharing ideas, conversation, and laughter. At Thomas Sattler Homes, we believe that the home building process should be easy as well as enjoyable. The Experience Center embodies those beliefs. We invite you to stop by and see for yourself. Have a cup of coffee and take a look around. We’d love to know more about your dreams for your home. Whether it’s a custom home or one of our exciting new Golf Villas at Ravenna, we can help you realize your dreams.